Welcome to our Website Cuba Ron S.A.
Cuba Ron S.A. Corporation is the producing organization for the trademarks of rum in Cuba, receiver of the faithfulest traditions in the Cuban Rum Culture. Cuba Ron SA Corporation produces Havana Club rums for Havana Club International, distributed by Pernod Ricard. 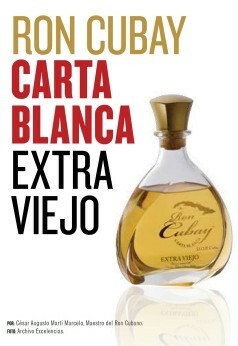 It is elaborated in Santiago de Cuba, known since 1862 as the cradle of light rum. A brand that reflects a name of araucanian origin, identifies a rum from Santo Domingo, a town in the province of Villa Clara. Legendario Rum brand is produced by the beverage companies of the business group of the food industry. A rum made with the use of a unique technology from spirits and aged bases. It is manufactured in Santiago de Cuba, recognized as the birthplace of light rum since 1862. Para conmemorar el aniversario 150, los Maestros Roneros prepararon un nuevo producto, con una producción limitada por su increíble calidad. This rum is designed as a product that evokes crude and crude eau-de-vie, craved by privateers and pirates who ravaged Cuban coasts. Cuban by nature, Cubay Rum is the son of the richest and most genuine rum tradition in the central region of the country. In its scent it explains why singers called it "land of honey and saturated aromas." The taste is a magical journey through the varied and soft fruit flavors. They are presented in 12 flavors: Pineapple, Coffee, Banana, Cocoa, Mint, Maraschino, Triple Sec, Blue Curacao and Grenadine. Sao Can, legitimate son of sugar cane, sinks its roots in sugar plantations since the mid-nineteenth century. It is produced with the alcohol obtained from a small guava that is harvested in the wild on the edge of the pines in the mountains of Pinar del Rio. We produce quality wines, from imported musts, which are fermented in the winery. The line of juices, nectars and cocktails "La Estancia" adopts the name of the entity itself, as it is the strategic choice of the organization. Baby food "UPA UPA", have a high nutritional value and serve as a nutritional supplement for children of younger ages. The line "Real" embraces tomato purees in their natural, flavored and as a pasta sauce version. "Pradera" is the brand that represents the range of dairy products of La Estancia Food and Beverage, SA. The Rum Factory of Cardenas is located in the province of Matanzas and was founded in 1878 by Don Jose Arechabala Aldama, a young man from Gordexola, Spain who began operating a small alembic. The Central Rum Factory "Agustin Rodriguez Mena" was founded in 1972 and is located in the municipality of Santo Domingo in the province of Villa Clara. Located at Peralejo street No. 103, between San Antonio and San Ricardo, Santiago de Cuba, it occupies an area of 16,430 m2. The Rum Factory of Santa Cruz is located in the municipality of Santa Cruz del Norte, Mayabeque province. It´s fully Cuban Capital Mercantile Society subordinated to Cuba Ron Corporation SA and sponsored by the Ministry of Food Industry. The Cuba Ron Corporation SA produces Havana Club rums for Havana Club International, which are distributed worldwide by Pernod Ricard. More information about Havana Club rums can be found in www.havana-club.com. Encouraging the creativity of Cuban food professionals in the interests of diversifying and increasingly improve the tourist offer, was the raison of the 5 competitions held under the VIII Varadero Gourmet 2016 Festival; convened by the Palmares Extra Hotel Company and supported by MINTUR, FORMATUR, the Federation of Culinary Associations of Cuba, the Association of Bartenders of Cuba, as well as Cuba Ron and Havana Club International companies. A brand that reflects a name of araucanian origin, and identifies the rum from Santo Domingo, a town in the province of Villa Clara. Bottled only in origin, it comes in two types: Carta Blanca and Añejo, and also has a wide assortment of liqueurs (Coffee, Cacao, Blue Curacao, Grenadine, Maraschino, Mint, Pineapple, Banana, Triple Sec, Lemon and Coconut). Its design, defined by a special script, won the 2000 Prize for Creativity and the Technological Initiative awarded by the Cuban Office of Industrial Property. Also, its quality has been awarded the Gold Medal at the FIHAV / 2002 Trade Fair and the Quality in EXPOCARIBE / 2003. Cesar Adames: "The extra-aged rums are to think of life"
It is a young Rum aged in its early ages that is characterized by being the ideal product to mix with the range of Cubay Liqueurs that offer different flavors in cocktails. It is almost white, with the amber touch of three years of aging. Ideal for your short or long shots, without losing the good taste of rum. Alcoholic strength 38%. It is presented in bottles of 70cl. The Cubay Añejo Rum is designed for demanding Light Rum consumers, who prefer products naturally aged without artifice, allowing them to appreciate, along with the scent of the cane, the fine scent that comes from flirting with oak wood for over 5 years. Personality and brilliance distinguish this rum, developed by the Masters of Rum in a selection of barrels of various uses, which make it stand out for its fine organoleptic balance. Average aging of 4 years. Its deep golden color underscores the natural aging process of Cubay rums. Aged patiently in white oak barrels, this rum is very aromatic, well balanced and its flavor is moderate. Not only it is enjoyed in strike, but is used in classic Cuban cocktails. It reflects the aging techniques of the Masters of Rum in the center of our island. It is a final mix of rums of very varied ages that result in a rum of exceptional softness, harmony and complexity, which makes it interesting to the palate. Aged patiently in white oak barrels, this rum presents an exquisite and balanced scent that combines intense and unforgettable aromas. It is drunk alone, although it can be also great mixed or with ice. Alcoholic strength 37,5%. It is presented in bottles of 70cl. The Rum Factory in the center of Cuba has in its cellars the oldest barrels in which, thanks to the art of its Masters of Rum, the famous "Sabor del Centro" continues to be revealed. It is aged in a special selection of oak barrels, that assures great softness and personality. Alcoholic strength 40%. It is presented in bottles of 70cl. A rum of an intense amber aspect, with excellent brilliance, cleanliness and transparency, a testimony of its natural and extensive aging. In its soft, fruity, permanent, well-defined aroma, the mixture of precious old rums with fruity compounds becomes noticeable. Alcoholic strength 33%. It is presented in bottles of 70cl. It has a deep amber appearance, excellent brilliance, cleanliness and transparency. Its dark color not only inspires intimacy and closeness, but also brings us the mystery of the unknown. Light and robust aroma, markedly intense, balanced, and complex in the nose. It presents subtle wood notes completed with fresh and fruity aromas; a harmony derived from the long coexistence in the oak barrel selected by the Master. In the mouth it is soft, unctuous and delicate. With a long and persistent ending, it evokes the magic of mixing aged eaux-de-vie and rums to maturity, with the strength and complexity of the original flavors of molasses. Pernod Ricard is launching a "highly-instagrammable" frozen daiquiri serve for its Havana Club rum as part of a new UK campaign. Pernod Ricard has revealed the finalists in its Havana Club Bar Entrepreneurs Awards, which celebrates the people behind leading bars around the world. Are You Ready to Learn about Cuban Cocktails? In order to commemorate the 150 anniversary, the Masters of Rum prepared a new product, with a production limited by its incredible quality. Now we present a product that is excellence itself, something sublime prepared with much love, dedication and mysticism, in honor of the genuine and authentic Cuban Rum of all times. Unique and unrepeatable, of extraordinary flavor and delicate aroma, Cuban rum comes from sugar cane, which with its characteristic sweetness and spirit, expressed in a magnificent eau-de-vie wisely aged, together with the centennial secrets of the Cuban Masters of Rum, are the complement of this mythical creation. It´s taste is a magical journey through the varied and soft fruit flavors and spices that grow on this earth. The Santiago de Cuba 500 Rum is a one hundred percent privileged encounter with the character of Santiago. It is a mixture of bases of rums aged in "precious coffers", that once again breed the "wonderful jewel" of the Cuban Rum, heir of the wisdom, the delivery and the work of the vigorous Rum Factory of Santiago de Cuba, with more than 150 years dedicated to the manufacture of the genuine "all times rum".